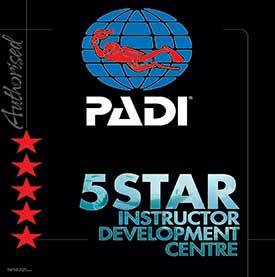 We are a PADI 5☆ IDC Centre! The PADI 5 Star IDC Centre is one of the highest in the PADI system. This means that in addition of providing a full range of recreational diving education programs, quality equipment selection and actively promoting environmental awareness, we also provide you with Instructor Level training. Our courses range from your first breaths underwater to Instructor Development Courses so if the Divemaster training was a revelation, you can still go further. We recycle as much waste as we can, this is extremely important on a small island like Koh Tao and every month, we conduct dive site clean-ups and we always dive with reef conservation in mind. 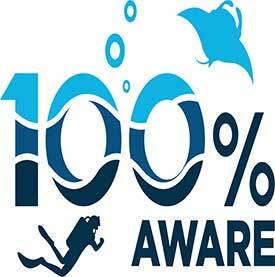 As one of the 100% AWARE partner centres, we make a donation on behalf of each student to Project AWARE to support a clean and healthy ocean which means that each student taking a course with us receives the Project AWARE version of the PADI certification card and be part of a movement of divers protecting our ocean planet. We are the only dive centre on Koh Tao that carries this guarantee of top quality breathing air in our tanks. Because high quality breathing air is one of the most important element in diving, our equipment and air is inspected and measured every year by one of the authorized BAUER specialists. Strict criteria is needed to obtain this world-wide certification. 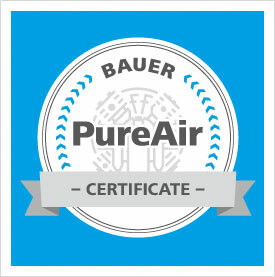 Find out more at‘Pure Air Award’ by Bauer Compressors.